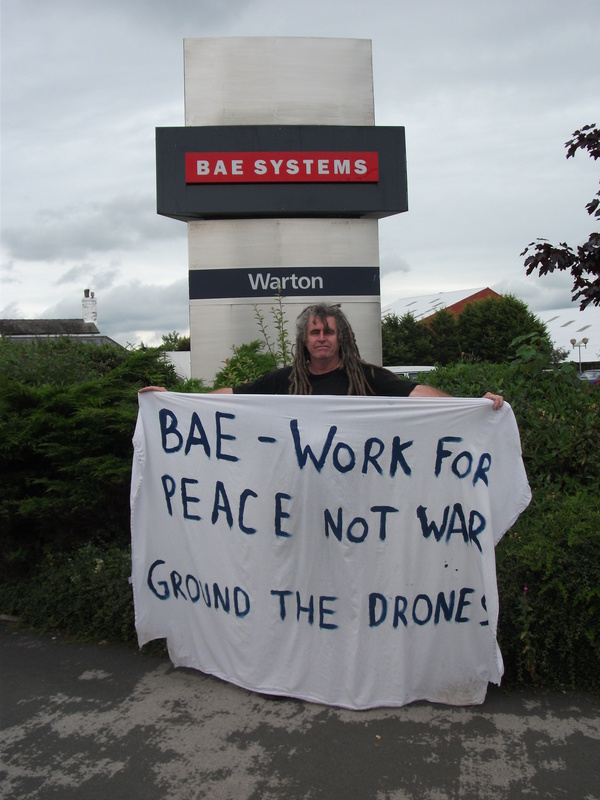 Home › Campaigning › Taranis: New drone, same old protesters! Taranis: New drone, same old protesters! 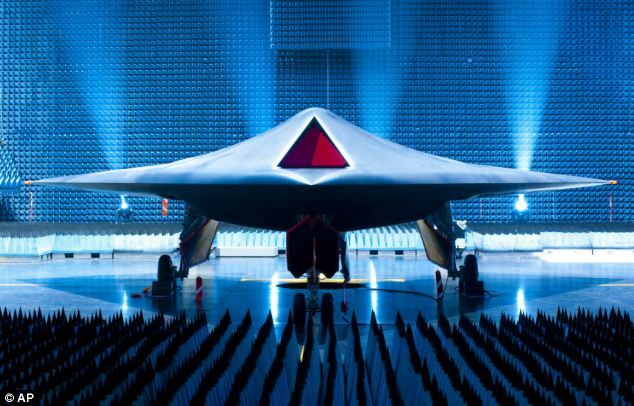 Taranis, named after the Celtic god of thunder, is different from the UK’s current drones as it is designed not to be flown remotely from the ground via satellite, as current unmanned drones are, but rather programmed pre-flight to carry out its mission, whether intelligence, surveillance or armed strike. 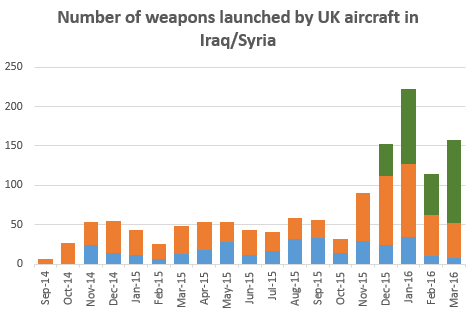 To make the aircraft ‘more stealthy’ i.e. 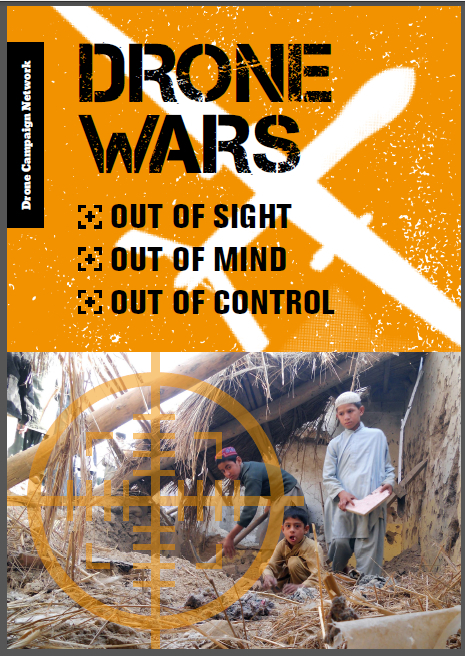 invisisible to radar, the drone’s bombs and missiles are carried internally. Speaking up on behalf of the ‘un-reeducated’ we held a small vigil at the gates calling on BAE to work for peace and not war. 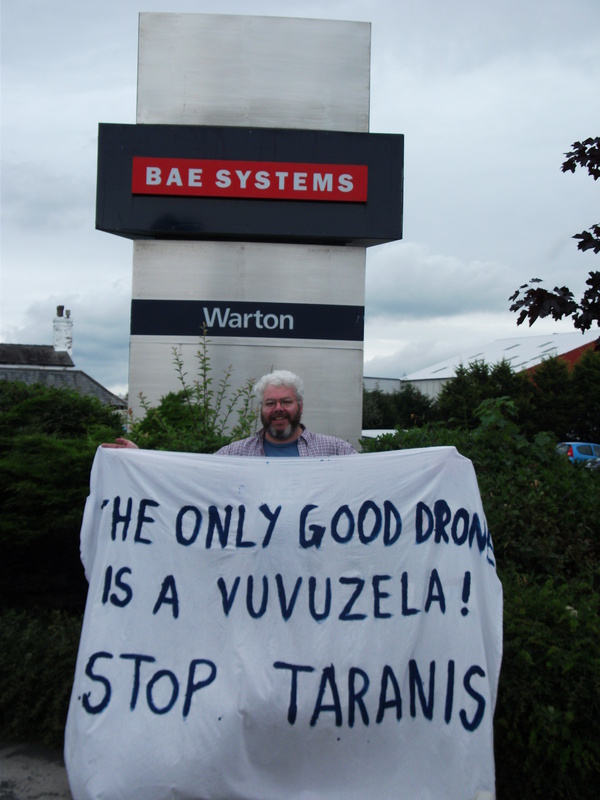 Response from the hundreds of workers we saw was mostly friendly with our banner, ‘The only good drone is a vuvuzela – Stop Taranis’ raising smiles. I have to say I agree- the mentality accompanying warmongering is juvenile, acquisitive and tenuously justifiable at best. 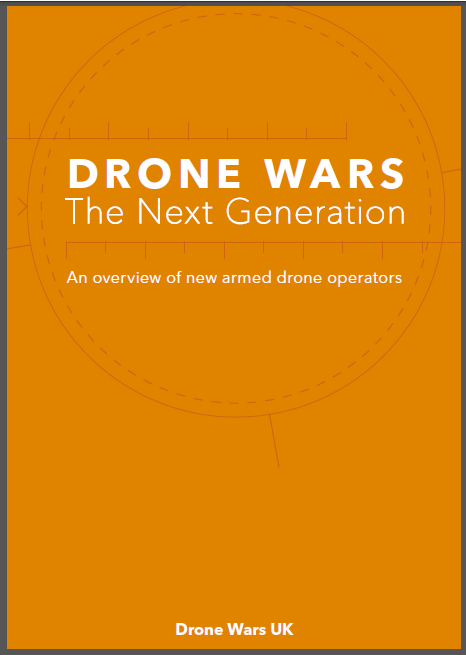 Consider that we could be sending UAVs out across space to Mars or Venus or Titan to map the terrain (on the subect of w, or have them loitering over the Antarctic monitoring ozone levels, ice melt etc., have them flying around doing the job of weather balloons controllably- there are an enormous number of scientific uses, none of which involve killing or threatening to kill people so we can steal their mineral resources. Western society really should grow up at some point soon, before we end up REALLY annoying the billions of other people we have to share the planet with, most of whom had developed the calculus used to design and build these machines whilst we were still living in caves.